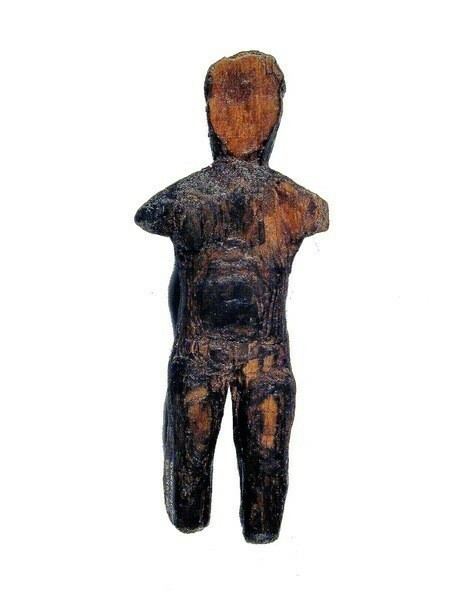 Doll from a Thule archaeological site on southern Banks Island, circa 1200 AD. (PWNHC/982.40.0905)The Inuvialuit Settlement Region The Inuvialuit are the Inuit of the Western Canadian Arctic. 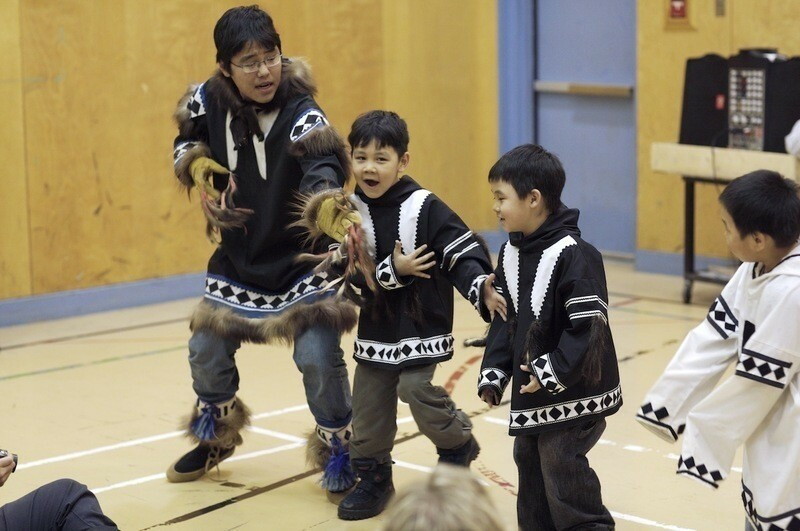 Inuvialuit trace their origins to the Thule culture, which developed in Alaska more than one thousand years ago and soon after spread into what is now the Canadian Arctic. At the time Europeans arrived in Inuvialuit territory in the early 19th century, Inuvialuit were living in named groups with well-defined territories along the lower reaches of the Mackenzie River and along the shorelines of the Beaufort Sea. The rich resources of this territory allowed them to live in large communities of up to several hundred people, the largest communities in the Canadian Arctic. With the arrival of Europeans many Inuvialuit began trapping for furs, and added trips to fur trade posts to their annual round of activities. Many Inuvialuit were drawn into the short-lived bowhead whaling industry in the late 1800s, serving as seamstresses, guides, and hunters. With the end of the bowhead whaling industry, trapping gained increased importance. It allowed people to live on the land, and also to purchase firearms, boats, and other materials. Some Inuvialuit moved into the Mackenzie River Delta to trap muskrats, and were joined there by Alaskan Inupiat. Others trapped along the coast, where white fox were abundant. 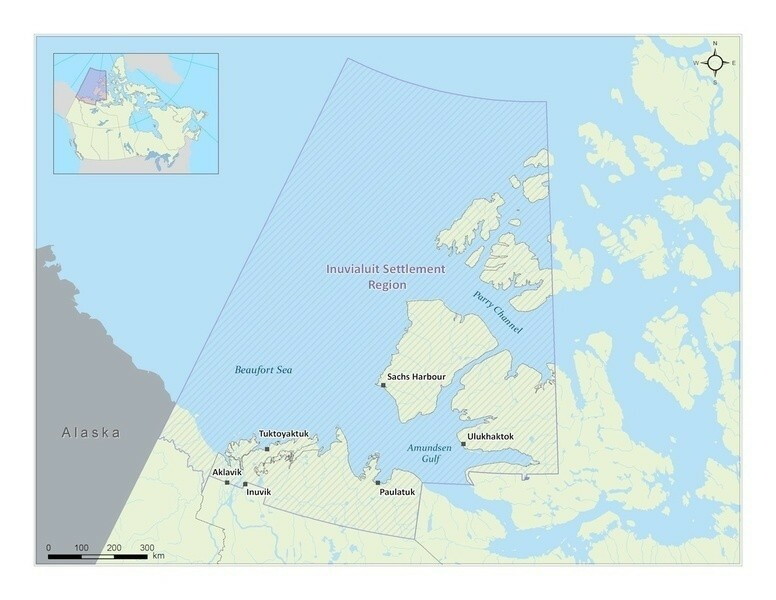 Faced with loss of control over their lands as Canadian government and industry became more active in the western Arctic, Inuvialuit worked towards a land claim, which they and the government signed in 1984. Today, nearly 5,000 Inuvialuit live in the Inuvialuit Settlement Region, and manage the resources of the region. Inuvialuit are successful politicians, businesspeople, educators, and craftspeople, and they continue to practice many on-the-land activities such as hunting, fishing, and whaling. 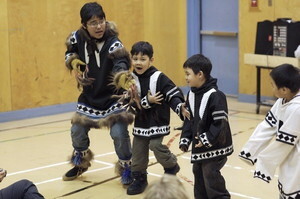 Many traditional activities, such as drum dancing, sewing, and land-based skills, have been revived through the work of Elders, community members, and the Inuvialuit Cultural Resource Centre.